The Institute for Sustainable Infrastructure honored the Boynton Beach Ion Exchange Resin Plant and East Water Treatment Plant Upgrades project in Florida with an Envision Bronze award. This is the first water treatment plant project in Florida to earn an Envision award for sustainable infrastructure. Located in the City of Boynton Beach, the award-winning project contributes to the community’s vision of becoming a leader in sustainability and resilience. 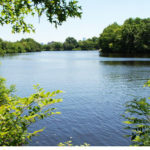 Upgrades to the plant will ensure that growing demands of the water service area will be met even as it reduces energy use and operating costs. CDM Smith and the city of Boca Raton implemented several strategies to safeguard the local environment and the community’s local character. 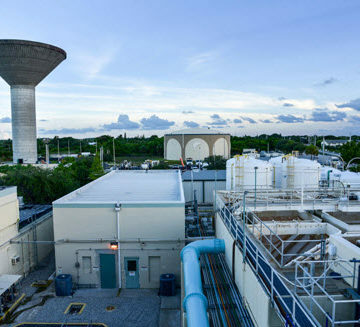 The Boynton Beach plant processes 24 million gallons of water per day with a state-of-the-art water pretreatment system, which removes organic compounds and color from water while reducing the use of chemicals. 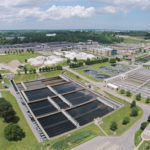 Other plant improvements include filter valve replacements, premium efficiency pumps and motors, enhanced stormwater management, modifications to the plant’s disinfection system, upgraded security features, and a 3-million-gallon finished water storage tank with a new repump station. The plant was designed to eliminate any runoff from the site, preventing pollutants from contaminating surface and groundwater resources. The plant applied plans for spill and leak prevention while the city continuously monitors groundwater and provides monthly monitoring reports. A public art installation was also made part of the project to create a connection between visitors to the facility and the plant itself. The art installation is composed of a pavilion with water fountains and a pixelated glass mural illuminated by LED light fixtures, programmed to suggest the movement of water. 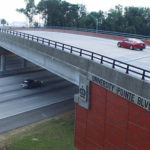 The project was managed locally by CDM Smith of Boca Raton, FL. CDM Smith collaborated closely with the City of Boynton Beach along with Carollo Design Build Group, a major subcontractor, and several other firms, including The Merchant Strategy, PCL, AW Architects Inc., Tierra South Florida Inc., Engenuity Group Inc., Cooper Construction Management & Consulting Inc., and DCR Engineering Services Inc.